Crystal Cruises has welcomed Crystal Debussy to its award-winning fleet. The latest addition to the Crystal portfolio brings the river fleet to four luxury river ships since Crystal launched its river experiences in 2016. Crystal Debussy was delivered to Crystal president and CEO, Tom Wolber at MV WERFTEN during the official handover ceremony in Wismar, Germany. In attendance was Tan Sri Lim Kok Thay, chairman and CEO of Crystal’s parent company, Genting Hong Kong (GHK), Colin Au, group president of GHK, and Jarmo Laasko, CEO of MV WERFTEN. Crystal Debussy joins Crystal River Cruises, which was voted “Best River Cruise Line” by the readers of Travel + Leisure in the magazine’s 2017 World’s Best Awards. Sailing itineraries between Amsterdam and Basel, the 106-guest Crystal Debussy will travel along the Rhine River, beginning with her 9th April 2018 maiden voyage round-trip from Amsterdam. 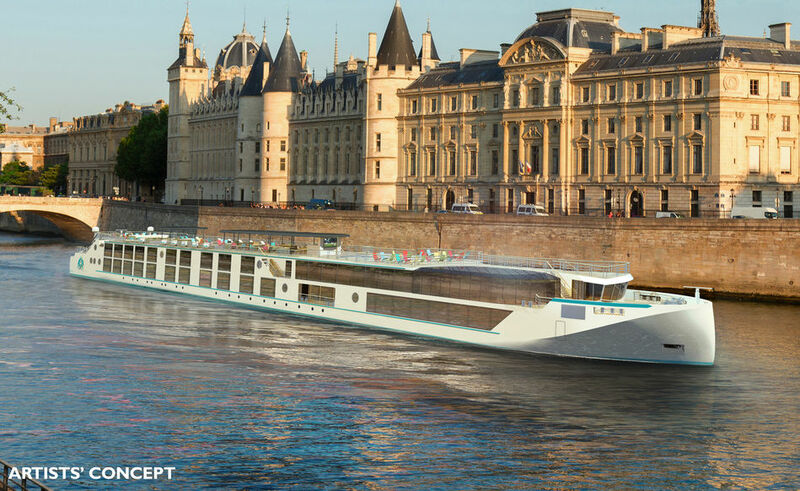 In addition, Crystal will welcome Crystal Ravel to the fleet next month joining sister ships Crystal Bach, Crystal Mahler, Crystal Debussy and the line’s first river ship, Crystal Mozart. Crystal’s new river vessels are the river cruising industry’s first and only all-balcony, all-suite, all- butler vessels in Europe, with every category of accommodation placed above the waterline. They offer Crystal’s acclaimed butler service in every room category, king-sized beds, Panoramic Balcony-Windows, walk-in closets and dual vanity in the bathrooms in most categories, ETRO robes and slippers and wall- mounted flat-screen HD TVs. As with all Crystal River Cruises voyages, a recently unveiled Crystal Collection of more than 200 inclusive shore-side adventures enhance the journey. Each river itinerary also feature inclusive Signature Events – special events that offer rare access and musical performances in iconic landmarks including Vienna’s Belvedere Palace, Linz’s St. Florian Monastery, Rüdesheim’s Monastery Eberbach and others.